I spent the last few hours reflecting on last week’s record-breaking New York City Real Estate Tech Week. What a smashing success. Dozens of events around the city, thousands of attendees, and enough global PropTech buzz to fill a beehive. Some of you might know that New York City Real Estate Tech Week started as another one of our team’s “crazy ideas” in 2015. 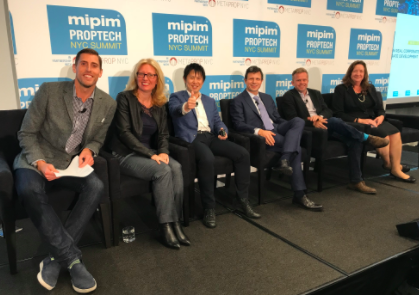 Thanks to the support of Kate Daly and the foresight of the entire NYC EDC team, our crazy idea has become the “Davos of PropTech.” The week is anchored by the increasingly amazing annual MIPIM PropTech Summit. Through this marquee event and dozens of others each year, top government, business, and technology minds from around the world come to New York City to learn, network and strike deals. 1. New York City - This year the City’s unparalleled skyscrapers, waterways, event spaces and restaurants played host to NYC Real Estate Tech Week festivities. The weather played nicely and the international crowds were not disappointed. NYC EDC President James Patchett reminded us of the City’s deep historical commitment to PropTech and its bright future as the global hub for our industry. 2. Honest Buildings and Compstak - Two NY-based, later stage PropTech startups announced exciting surprises during the #NYCRETechWeek. Congrats to Riggs at Honest Buildings and Michael at Compstak on their major new strategic funding investments! 3. All 6 Global PropTech Award Winners - A distinguished Awards Committee, made up of industry leading CEOs, global press, founders and producers (including Julia Arlt from PwC, Linda Barr O’Flanagan from Real Estate Weekly, Travis Barrington from CRE.Tech, Ryan Baxter from REBNY, James Dearsley from PropTech Consult, Patrice Derrington from Columbia University, Dan Hughes from RICS, Drew Meyers from Geek Estate Labs, Clelia Peters from Warburg Realty, and Emily Wright from EG) presented the 1st Annual Global PropTech Awards to winners in 6 major categories. Congratulations the the big winners! 4. The blockchain - Blockchain was all the buzz last week in NYC. Global association IBREA produced a sold out, knock your socks off conference. Ukraine, Dubai and Cook County get the picture and so should everyone in the real estate business. 5. Real Estate Associations - Finally, we’re seeing industry associations taking a lead in the PropTech space. 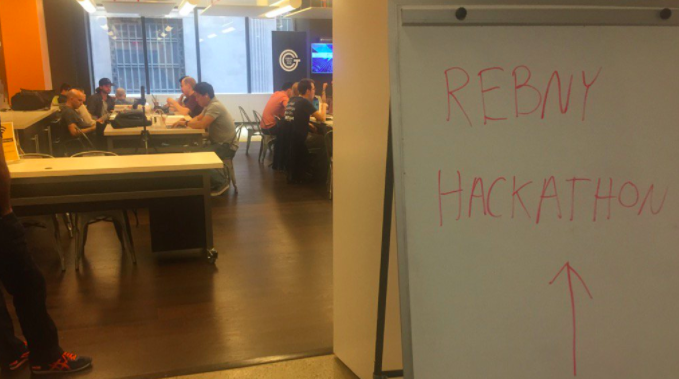 The big boys/girls were out in force during #NYCRETechWeek, especially REBNY (first major hackathon), ULI New York (no less than a dozen members keynoting and speaking), the UKPTA (bringing more than two dozen friends from London, amazing podcasts, etc. ), and, of course, Global PropTech Award winners RICS. 6. Competition Award Winners - In addition to the Global PropTech Awards winners, #NYCRETech Week crowned a number of other competition winners! 7. Convene - The venue hosts for the MIPIM PropTech Summit were everywhere. Convene’s new 46th Street facility stole the show on the 11th and CEO Ryan Simonetti and Convene investor and Brookfield CEO Ric Clark were huge content draws. 8. Women in PropTech - The #NYCRETechWeek events showed off some amazing female thought leadership in PropTech. Great to see a group of high powered professionals leading the charge here in NYC: Lisa Picard, Colette Temmink, Clelia Peters, Yulia Yaani, Maria Seredina, Kim Scharf, Julia Arlt, JoAnna Esty, Rasmia Kirmani-Frye, Alexandra Levin Kramer, Francesca Loftus, Karen Hollinger, Sara Rozenfarb and many more! 9. Fifth Wall - Co-founder Brad Greiwe asked the tough questions during MIPIM’s Startup Competition and his fund announced a first international investment in retail tech startup Appear Here. 10. NYCHA and the Fund for Public Housing - The NY-based public housing organization (that owns/manages enough units to fit all residents of a city the size of Boston!) stepped into tech in a big way. Chair and CEO Shola Olatoye announced the winners of their innovative public housing tech competition during #NYCRETechWeek.